Sometimes you get a little glimpse back into your childhood and rediscover something that makes you understand your grown-up self a bit more. This made me very happy. 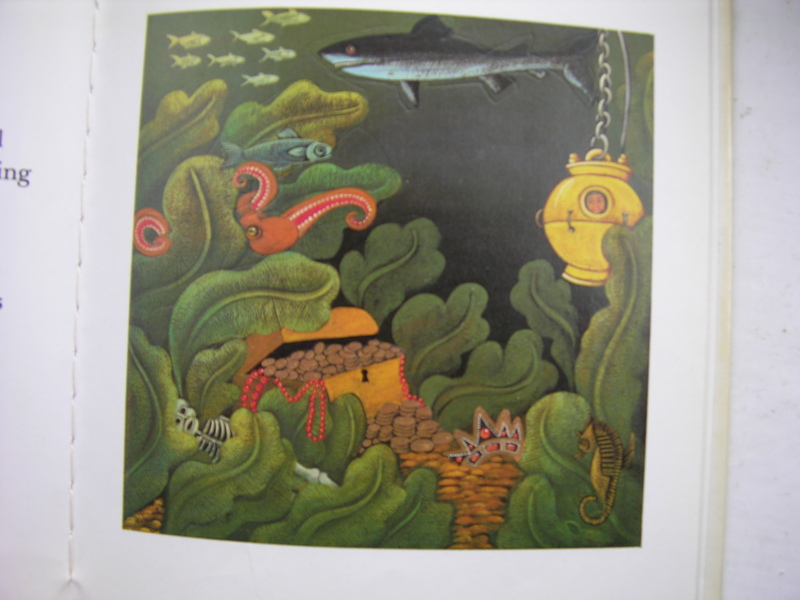 “Down and down, deeper and deeper, went Captain and Mrs Babcary, into a wonderful green world of waving seaweed and wandering shoals of fish. And there on the sea-bed was a glint of gold, a flash of jewels! 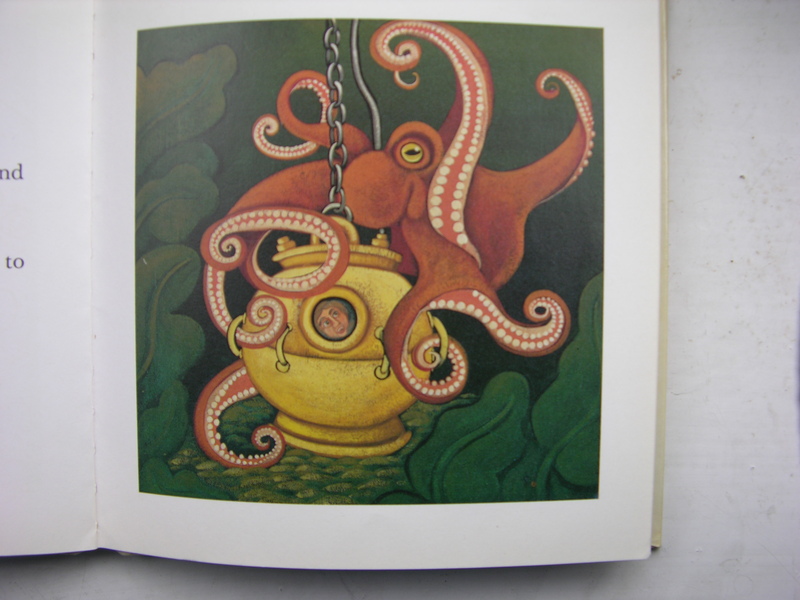 “It was an octopus, a huge octopus with terrible, thrashing tentacles that twisted and twined round the diving-machine. It all gets a bit dark and scary for a children’s book. But all the best ones are, in my opinion. Look at that handsome gentleman. Great story! 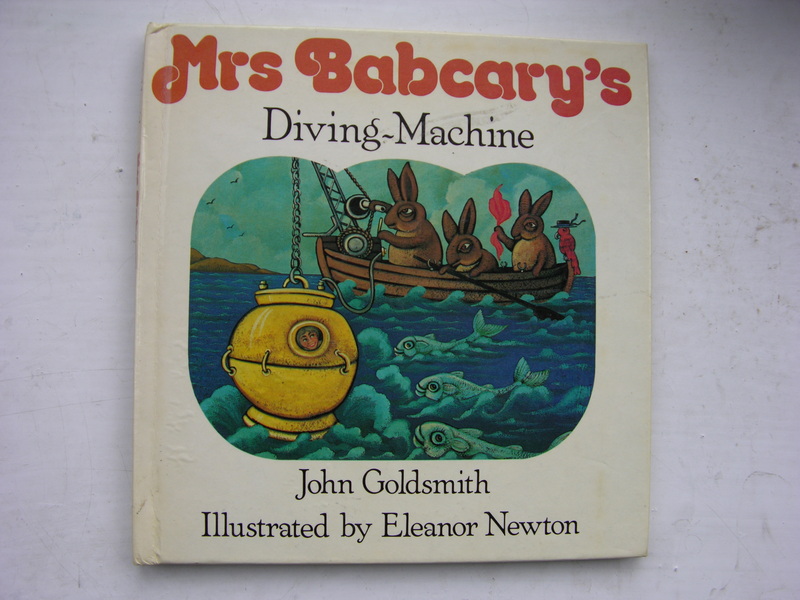 I have Mrs Babcary goes to Sea. I picked it up from Sunday school 30+ years ago and now read it to my daughter who is 7. I love the illustrations and the philosophical message in the book. Nice octopus collection! The tattoo (which is of a scuttlefish not an octopus) is one of my favourites of all time. It is by the tattooist James Kern and you can see it here: http://www.flickr.com/photos/shaunaballistic/3578425805/, along with another photo of the finished tattoo. Thank you! Fantastic – I have updated the source. It is an amazing piece!